Lammar Young brings a new meaning to the phrase, “game plan.” Young is the director of the Young World Basketball Summer Camp. But do not let the word “camp” give you the wrong idea. It is anything but just a camp, in the classical sense. Above everything else, Young is looking to ensure that his players improve in order to get the most passion out of the sport of basketball as possible. Lammar Young’s camp tactics are tough, with intense drills and serious workouts using top of the line equipment. But his high expectations yield amazing results in the form of success in his players and athletes, as well as a tight-knit basketball community. 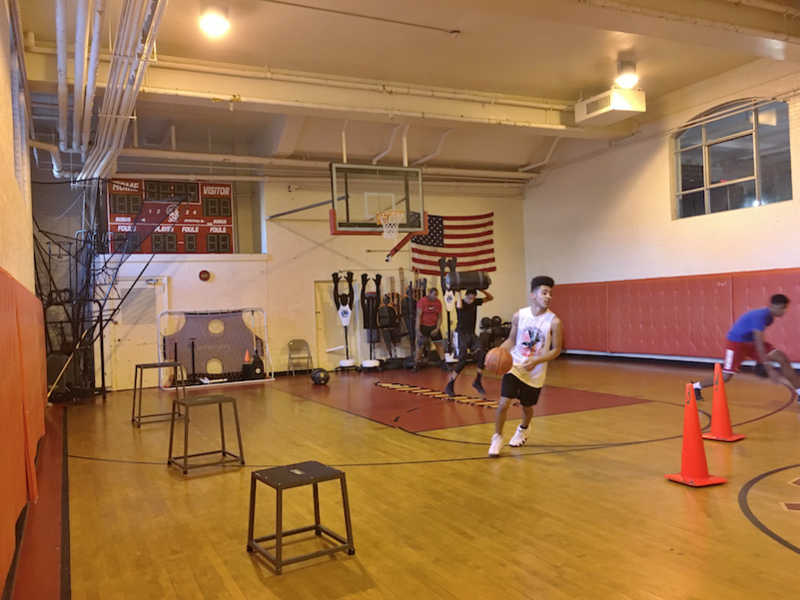 The Montclair Dispatch spoke to Young about the mission of his basketball camp. 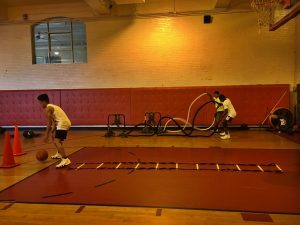 The Montclair Dispatch was also lucky enough to attend one of Coach Young’s workout, to meet some coaches, Kieth Robinson, Montique Nedd, and Ed Duncza, to get a first-hand account of his coaching philosophies, and to find out what makes Lammar Young’s methods so unique. We spoke with Coach Kieth Robinson, whose son plays on the YW Ballers 7th grade national team. He’s been a coach with the program for about five years. Towards the end of my time at the workout, Coach Lammar ran a drill to improve team movement and working cohesively through an entire play. The players were on the clock, and they had to score a certain amount of lay-ups without turning over the ball to the coaches/defenders. The team got off to a rocky start, losing the first couple of matches to the coaches, resulting in sprints after the drill. Then they started to pick up steam, beating the coaches by three points on two separate attempts. But Coach Lammar still wasn’t satisfied. The team would continue this drill until they beat the coaches by ten points. Despite the team’s best efforts, they could not make it happen. Not until Coach Lammar called a little meeting, asking the players, “You know that you have to keep doing this drill, or we won’t get better, right?” The team responded with an affirmative, “Yes, Coach.” Within the first 2 minutes of the next round, the team made twenty lay-ups. After attending a workout, it is more than clear that Coach Lammar puts an enormous amount of heart into his players and his program. But that doesn’t mean it was all fun and games. The 7th and 8th-grade players were participating in high-level circuit workout training, improving hand-eye coordination, stamina, and strength. Coach Lammar definitely wants things done a certain way, and holds a high standard for any player in the program, expecting that they will put in as much work as they possibly can give. 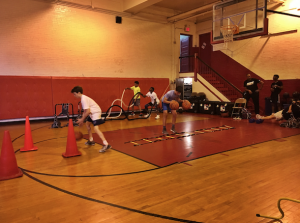 He creates an atmosphere where kids are self-motivated, because at the end of the day, for Coach Lammar, it is all about working to the best of your ability to reach your highest level of play. It is definitely apparent that the Young World Summer camps and programs breed success. 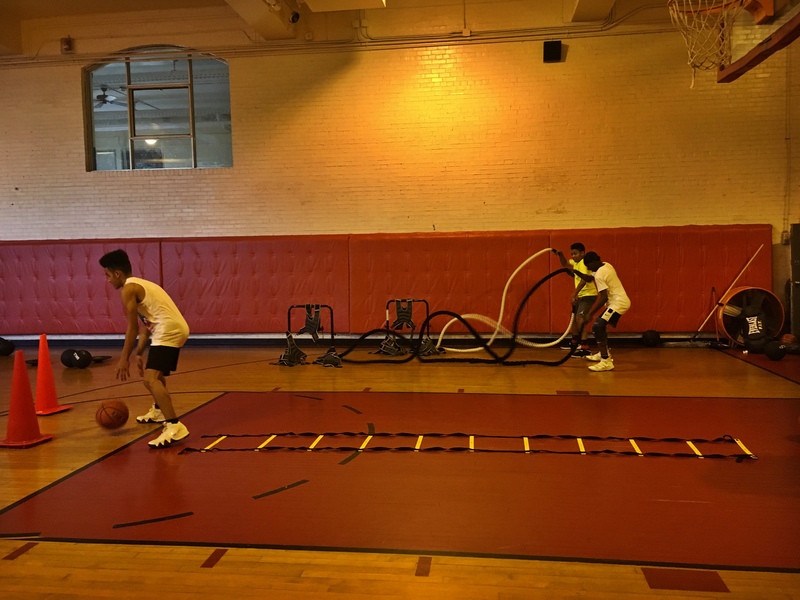 If you are looking for a competitive atmosphere with a dedicated staff, there to ensure that your child’s basketball skills are improved to the best of their ability, then Young World is the place for you. 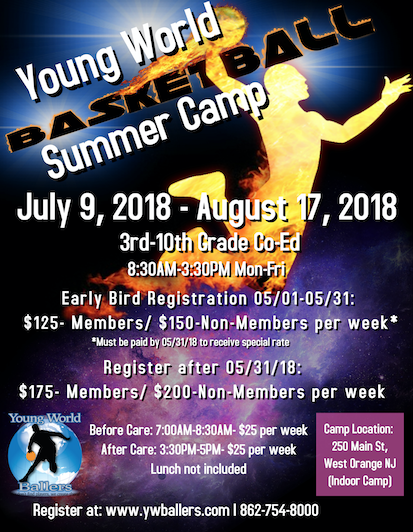 If you are interested in signing your child up for the Young World Basketball Camp, click here.